Yoan Fanise isn't a household name, but he probably deserves to be one. A Ubisoft veteran of 14 years (having worked on Assassin's Creed, Rabbids, and other titles), Fanise's greatest achievement to date was in helming Valiant Hearts, a "war game" that was anything but in support of war... and did the right thing and acknowledged that war wasn't a super happy fun time with mates and killstreaks. Instead, Valiant Hearts was an emotional, affecting, important game. Indeed, it was one of the best that Ubisoft has ever had its name to. Then Fanise left the company to establish DigixArt, a small, independent studio that has managed to capture the interest of Bandai Namco, which will publish the team's next game. 11-11: Memories Retold is being produced with the artistic talents of Aardman (Wallace & Gromit, Chicken Run), and looks like the spiritual successor to Valiant Hearts on every single level. The teaser trailer alone is a hell of an emotional 1-2 hit. I think the thing that gets me already is the art style. 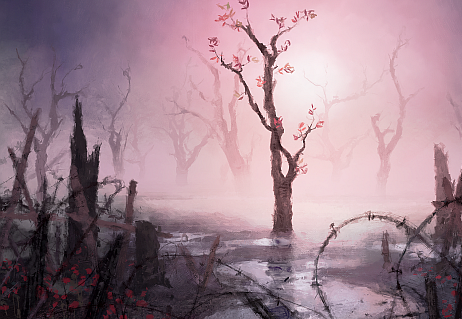 I've studied paintings from World War 1 and 2, and this is very reminscient of it. There's all the potential in the world to use that association to make some really powerful points, and I have every faith that that is exactly what Fanise and his team will be looking to do. This is the kind of game about war we need to see more of. A reminder that war isn't about heroism or entertainment. It's not about mateship. It's not about killing the baddies and saving the world. War is about people dying. Good people and bad people. People with families. People with friends. We need more games that are genuine and earnest in showing that war is not glamorous, it's not something to be spun into propaganda, and it's not something to celebrate. We don't have a release date for this game yet (though it can't come soon enough). We do know it will be released on PlayStation 4, Xbox One and PC.